JoAnn Corley-Schwarzkopf | NewSchool Management: Need a Fresh Approach to Employee Engagement? Need a Fresh Approach to Employee Engagement? We seem to be beset with the continual struggle for employees to be engaged (or at least that's what being reported). Everywhere I turn, I see articles, infographs and webinars addressing this ailment. Are you tried of hearing about it? Well if you are, you may also be in need of some new approaches to address it. I've had the opportunity over the past few months to revisit this nagging challenge from 2 interesting perspectives. 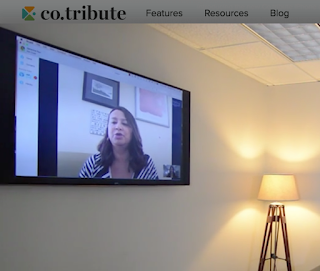 Last month, I was honored to be interviewed by Samantha Paul of Co-Tribute. They learned of my work via Twitter and after connecting and discussing the ins and outs of holistic talent management, we discovered a wonderful philosophical alignment! I became eager to be interviewed in the efforts to support what they do. One of the elements of holistic talent management that most intrigued them was the literal view and use of the phrase "human resource." The philosophy in practice occurs when individuals and teams are managed in a way that considers the whole of a person, believing that bringing out their best, acknowledging their human needs would contribute to a company achieving more of their desired results. Co-tribute works with key areas of human needs and resource -- purpose and contribution (what I might consider the spiritual element) by helping companies promote and execute corporate giving and volunteerism. They believe that purpose is a powerful motivator that generates a substantial ripple effect through-out an organization. You can learn more about them here - click here. As we look for creative ways to address the challenges of employee engagement, culture development and talent retention, to name a few, I found this to be a unique idea and resource. Many studies published in the Human Resource space suggest that corporate purpose is a motivator. It's even a creative approach to team building among other needs. Click the picture to access my interview with Samantha Paul -- it provides some insight into how I work with leaders and more information about holistic talent management. If you're not familiar with the term, I highly recommend you learn about and give strong consideration to its use. Over the past months, I've conducted 2 webinars on the topic, for both SHRM and HR.com. If you've never heard of it, at first blush, it's probably not what you think. It's a very interesting approach to addressing the challenges mentioned above while promoting a company's brand by leveraging social media. You can learn more and access SHRM's version here - click here. In this webinar, employee advocacy is presented from the view that it needs to be part of every HR professional's toolkit to enhance their professional value-- that in fact it's an up and coming function of HR. As leaders, we've got to attempt to see our challenges through fresh eyes and a variety of solutions. As Einstein reportedly said, "We cannot solve a problem at the same level of thinking at which we arrived at it." If you or your leadership team is struggling with building a positive, motivating culture, employees collaborating effectively, overcoming a substantial company set back, an acquisition where cultural alignment needs to occur, enhancing your company's internal and external brand, consider both employee advocacy and corporate purpose as radical strategies to address these needs.